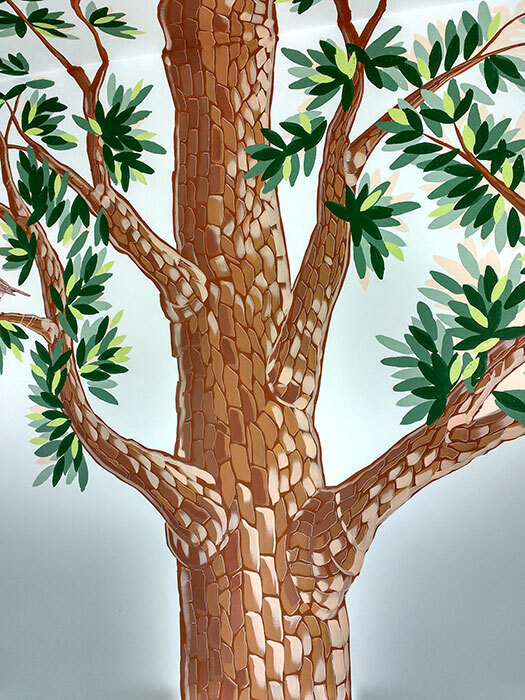 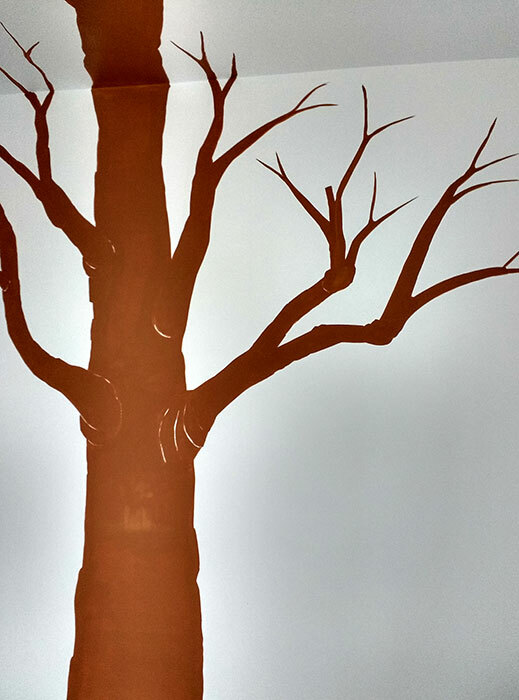 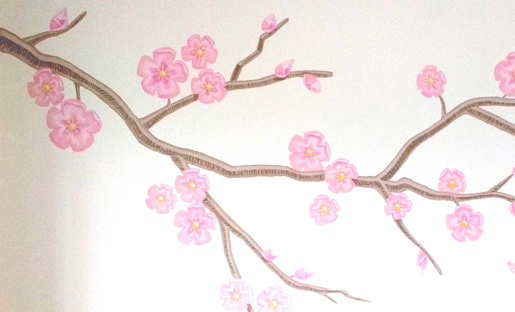 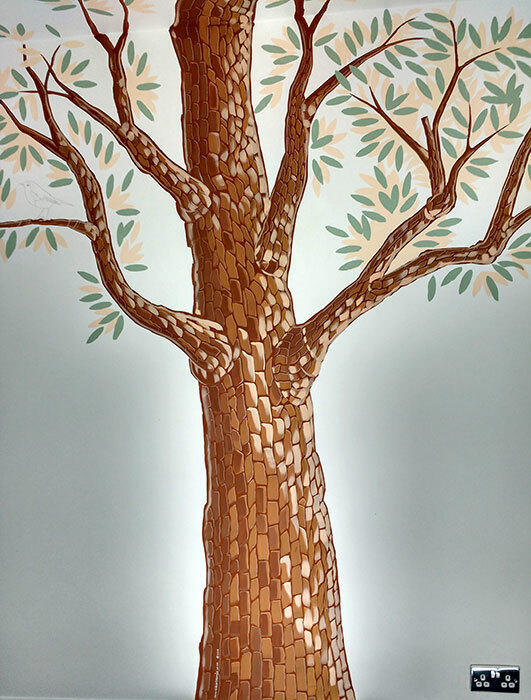 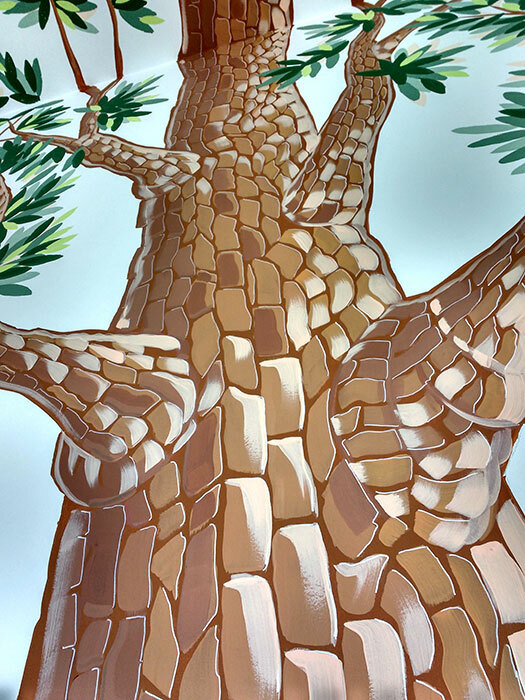 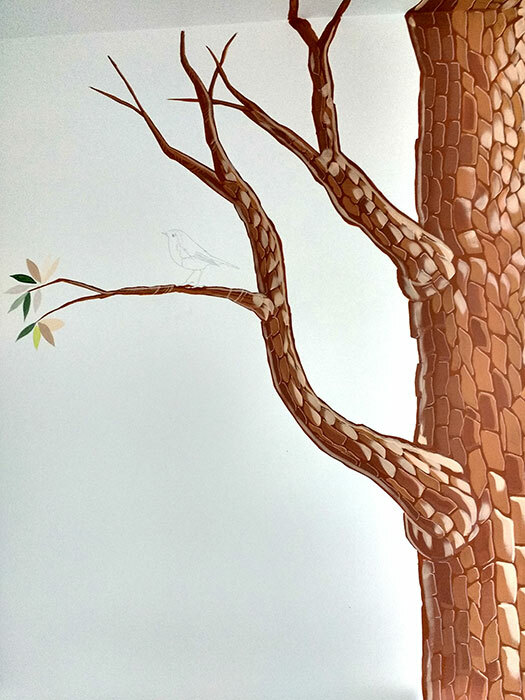 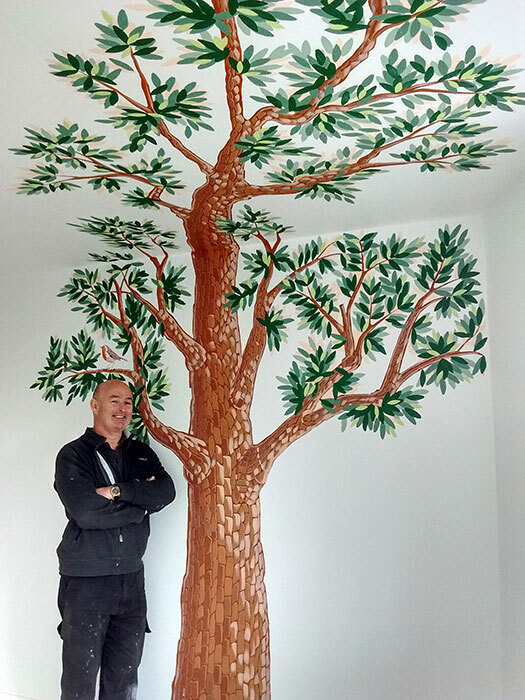 This Tree and Robin mural was painted in the bedroom for an energetic two year old boy. 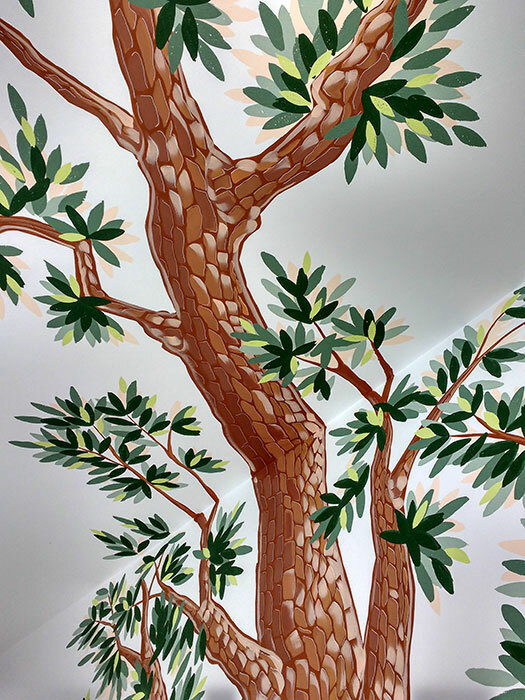 The tree canopy and branches extended across the ceiling, to give an “under the tree” experience. 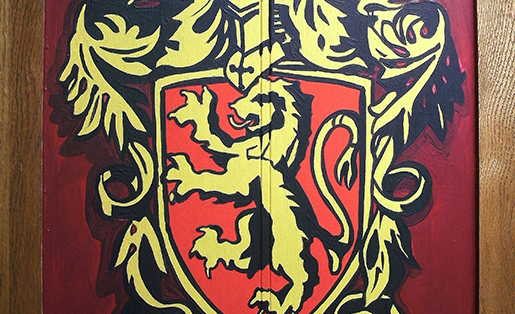 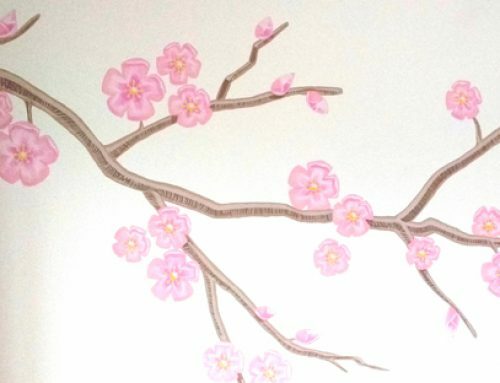 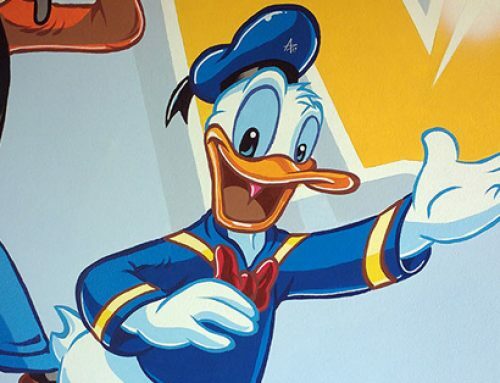 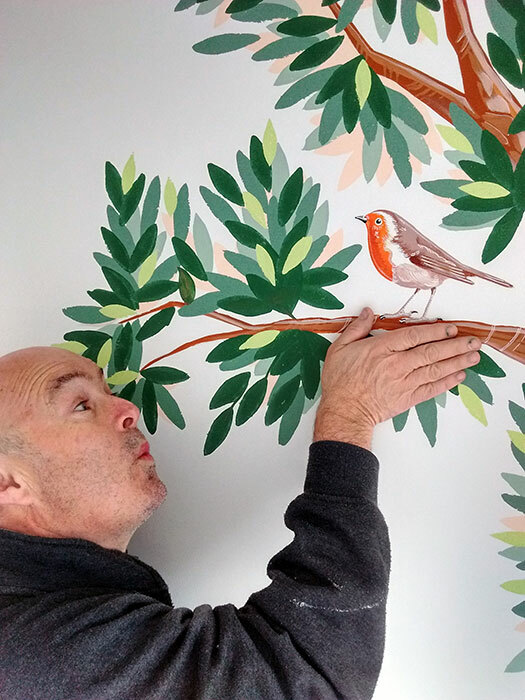 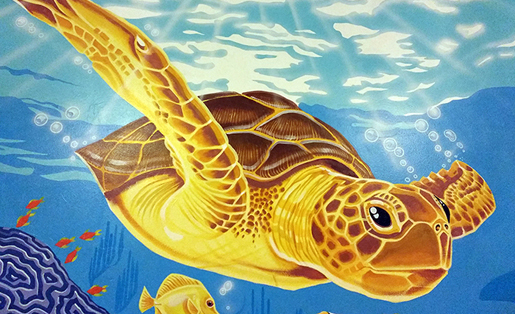 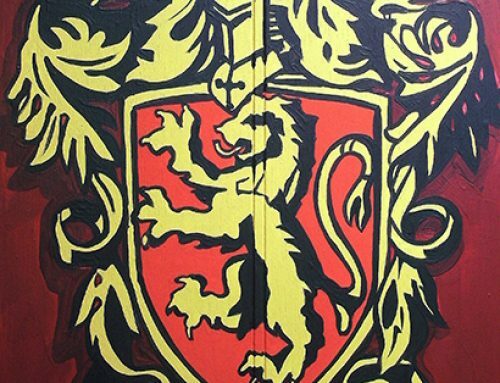 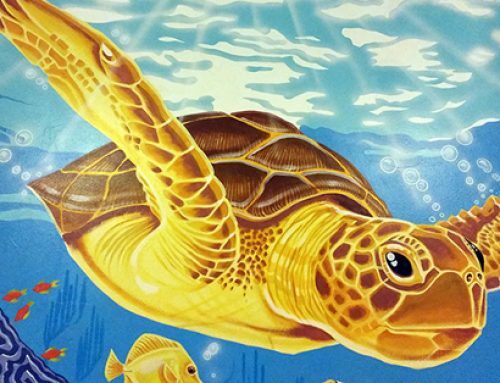 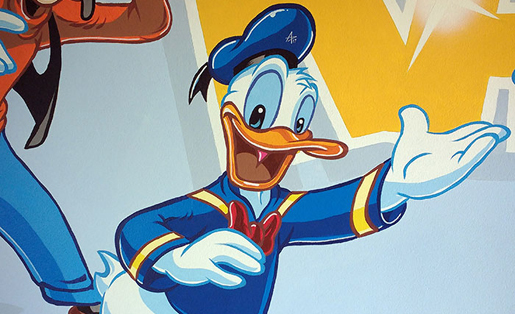 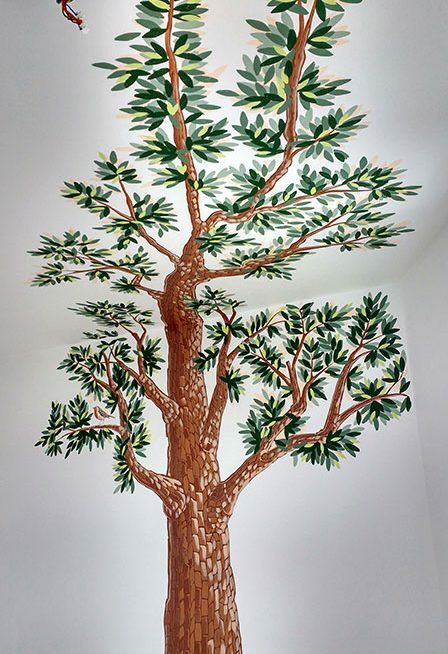 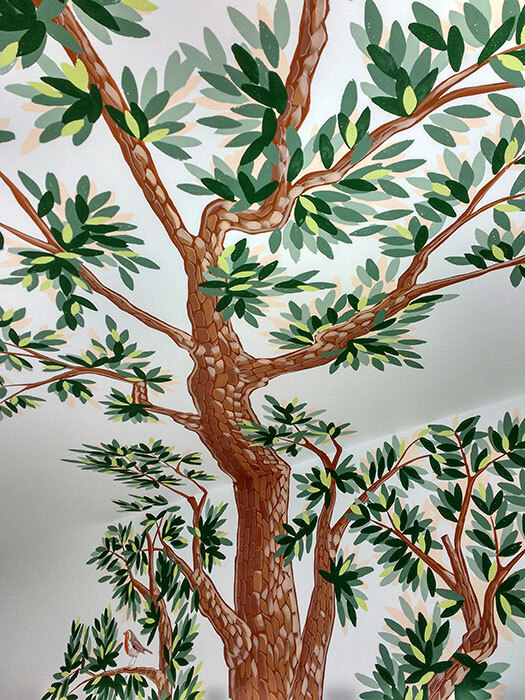 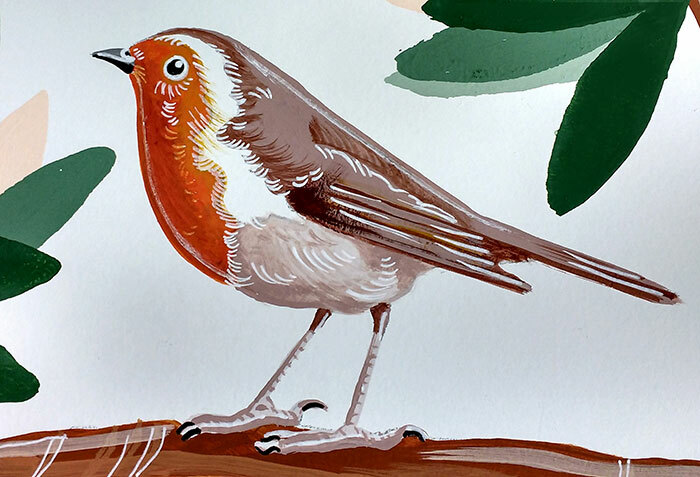 Every time the father came into the room to see the mural, he said, “I like coming in this room…it makes me smile” The Robin was painted on a branch to add a more natural feel.